Attack strongly with o-uchi-gari. As this is a rear throw your partner will bend forward taking his weight off the foot you are trying to hook away. This leg will probably rise in the air. Should this happen abruptly, change direction of your attack by hopping in close to the opponent with your left leg and turning round as you do so. 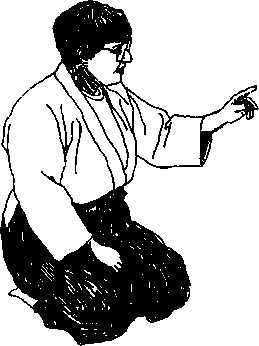 Having turned round, your right leg sweeps up into the opponent's thigh as in uchi-mata and throws him forward. It is essential to time your change from the first throw to the second as your opponent reacts to your first attack. This means that the first throw must be attempted with the full intention of throwing your man. If you do not convince your partner that the throw is dangerous he will not bother to avoid it. This goes for any combination attack. Should you miss with the second attack because your partner pulls back strongly against it, try the o-uchi-gari again. 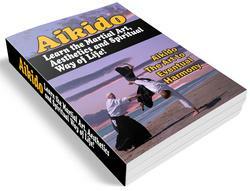 Providing your balance is good it is possible to alternate from one throw to the other until you get your man over.